Young people have much to say and are the ones who can change the future, the power is in their minds and in their hands. In order for writers to improve in their writing they go through the process, the continuity of writing and rewriting daily. The young people have the added advantage of improving and honing this skill and developing creativity at an early age. It is ideally their time to begin the writing career if they feel fired up with passion for their words and thoughts to be expressed and published. 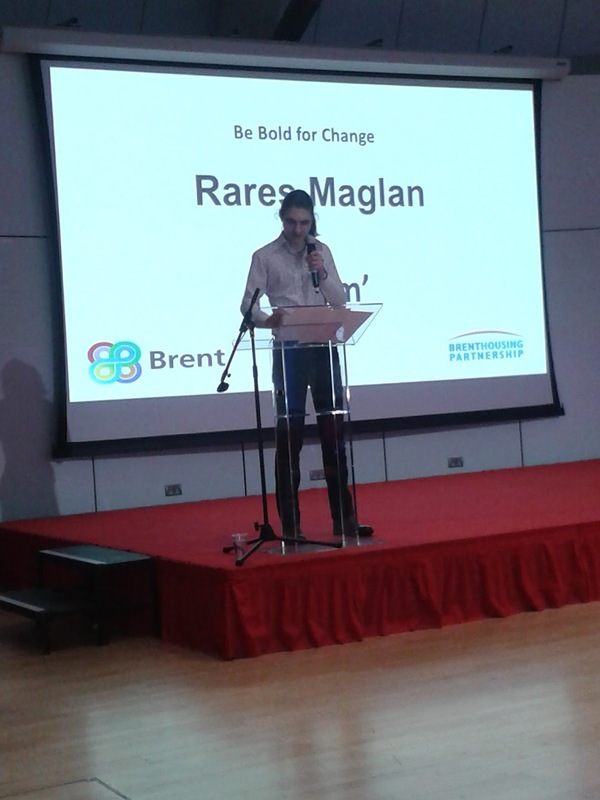 This years International Women's Day theme was Being Bold For Change, Brent Council's International Women's Day celebrated this with intriguing speakers, dance, poetry and workshops. The highlight of the performers were the young poets namely Zara D and Rares Maglan. Zara aged 9 performed an inspiring poem The Empowered Women which she delivered with confidence and zeal. 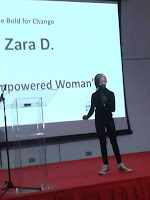 Public speaking is an activity most people fear, however this young lass owned the stage, having started performing at the age of 3 years and since gaining several acting roles. 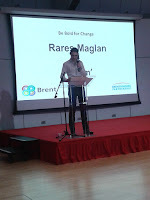 Rares Maglan's poem was very touching and the audience applauded seeing and hearing this young confident leader honour women in his writing. What stood out here is his individual viewpoint as a teenage man regardless of peer pressure's and machoism culture.